Home » How can I track my order? 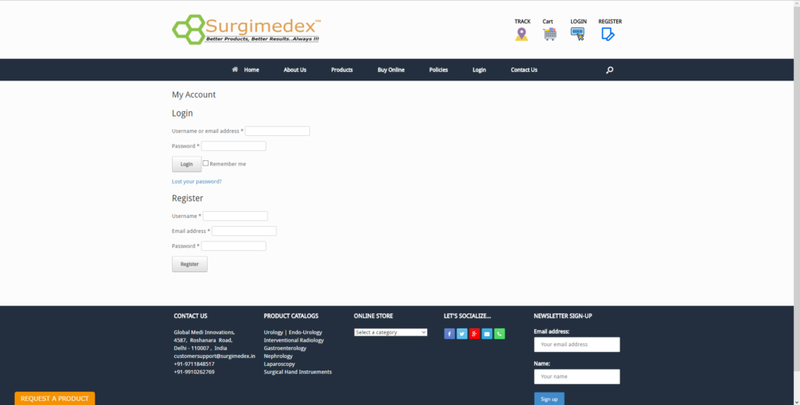 We are happy to see you shopping on Surgimedex. You are truly a smart shopper. Yes, you can track your order as it reaches you. There are 2 ways with which you may track your order location and status. Login: Login to your account dashboard. My Account: This is your account dashboard(refer below snapshot). 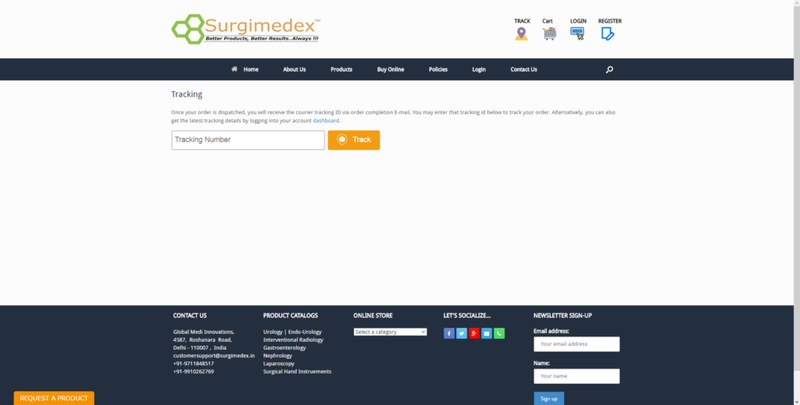 When you will click on the “Orders” link, following screen will be displayed with your order history. Click on “View” tab to get more details for any particular order. Note down the tracking id by referring the order completion E-mail (Which Is sent automatically once the order is dispatched). After you click the track icon as shown in above snapshot you will be directed to following screen. 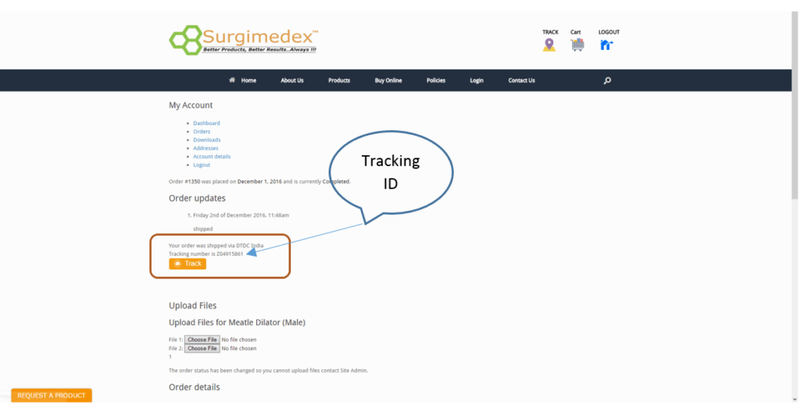 Please enter your tracking id here and hit the “Track” button to get the latest tracking details. Please note: Order id and Tracking id are different things and can’t be used interchangeably.